“Mallard in Somerset” From a photograph by G A Richardson. Gresley “A4” class Pacific No. 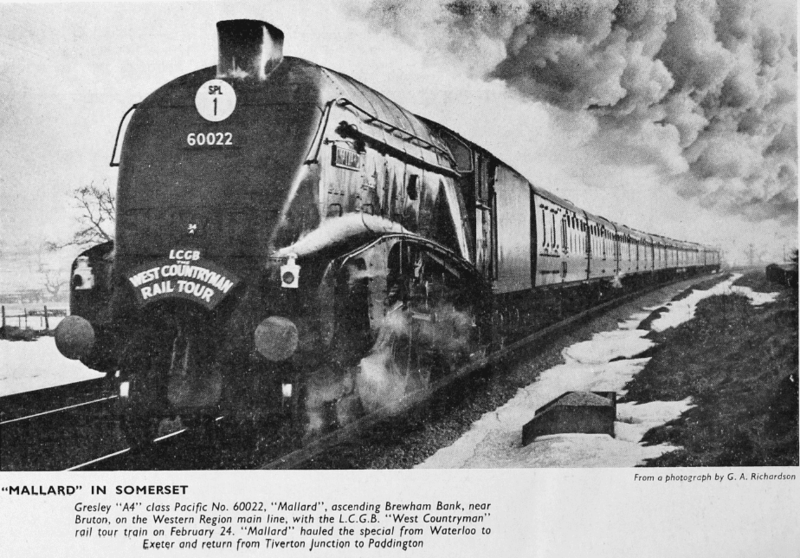 60022, “Mallard”, ascending Brewham Bank, near Bruton, on the Western Region main line, with the L.C.G.B. “West Countryman” rail tour train on February 24. “Mallard” hauled the special from Waterloo to Exeter and return from Tiverton Junction to Paddington.